Mr William Shakespeares Comedies, histories & tragedies, published according to the true originall copies, also known as the First Folio, was published in 1623, 8 years after Shakespeare’s death. In 1622, two of Shakespeare’s fellow actors and friends, John Heminges and Henry Condell, decided to publish a collection of his plays as a memorial and testimony to Shakespeare’s work. They gathered together both fair and “foule” copies of Shakespeare’s plays, selecting the version which they felt was true to Shakespeare’s intent. 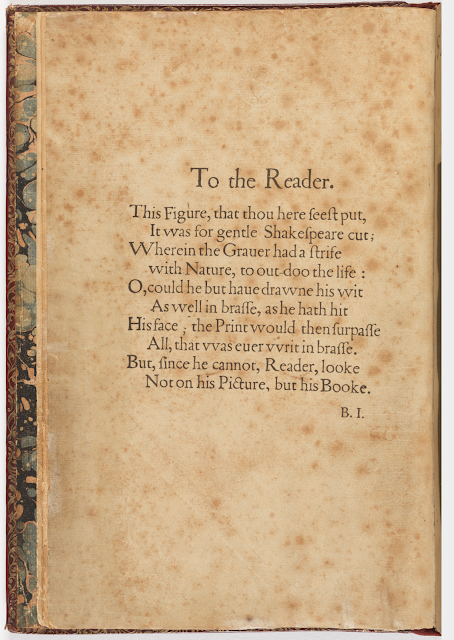 Troilus and Cressida proved the most difficult and reached the printers so late that it was too late to be included in the printed contents page. Of the 36 plays included in the First Folio collection 18 had never been published. It is possible that without this publication plays such as the Tempest, Twelfth Night, Antony & Cleopatra and Macbeth would have been lost. Heminges and Condell also decided the divisions between comedies, histories and tragedies. (source). at Mount Stuart, the neo-Gothic home of the Marquesses of Bute, brings the total of known surviving copies of the First Folio in the world to 234 (source). I also read this interesting article which details the disappearance of some manuscripts, and how one is discovered roughly every six years! 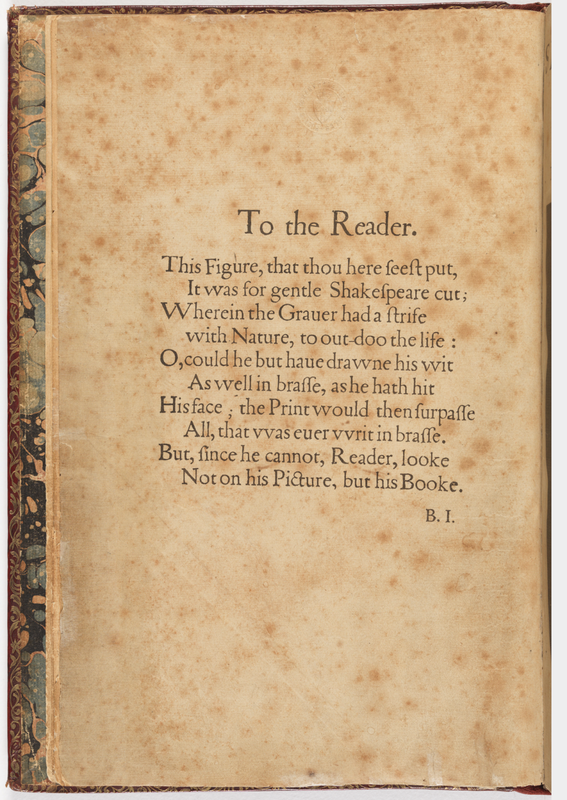 You can search through a digital facsimile of the Bodleian library's copy here.